We have over 30 years experience in Servicing cars of all makes and model. We offer a friendly and reliable service and are based in the heart of East London. BMW, Toyota, Ford, Vauxhall, Fiat, Renault, Audi, Mercedes. Car broken down? Needs a service or due an MOT. 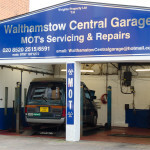 At Walthamstow Central Garage we offer a full range of affordable services. 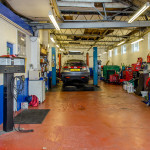 Car Servicing, Mot Testing, Car air con repairs & service, General vehicle repairs, Brake & clutch replacement, Exhausts, Engine Diagnostics and Car electrics. ALL makes and model of vehicle. Walthamstow Car Service Centre offers everything you need from a modern state-of-the art workshop – with transparent charges and excellent customer service at the heart of everything we do. Our team of dedicated service professionals are here to meet your requirements. Walthamstow Central Garage is based in the heart of East London. We are situated opposite Walthamstow Central Station. We have been established for a long time, and between the mechanics, we have over 30 years experience. Our goal has always been to provide a great service to all of our customers while offering affordable servicing and repair options. We welcome new customers and have yet to lose any customer over bad service or experience. For other services such as CAR SERVICING, we can usually do the next working day. I didnt actually have service done - and that's why I'm writing this 5 star review. I had a grinding on my brakes but they didn't need replaced, its normal first thing in the morning and I was reassured. I was ready to get new brake pads but he inspected and sent me on my way and told me to come back in a year as all my brakes were in great shape. In and out in less than 5 minutes with proper peace of mind and not a penny spent. Quite simply the best garage I have ever used! We have been using them for the last 2 years for MOT, servicing, tyres, advice, anything! They are always so helpful, speedy and trustworthy. No job is too small and you always feel like their most important customer! Aircon needed re-gassing so called up. Said to bring it down and quoted £50. Costa across the road and waited just over and hour and all done (£60, £50+VAT). Effortless service, great experience. Great, friendly, honest and very accommodating garage. Communicated the issue well with a fast turnaround. Will definitely go back. Excellent garage. Would highly recommend them. Serviced my car and MOT promptly. Car is working in perfect condition. Quite simply the best garage I have ever used! We have been using them for the past 2 years for MOT, servicing, tyres, advicr, anything! They are always so helpful, speedy and trustworthy. No job is too small and you always feel like their most important customer! Phil and his team are great. They have done work on my BMW 3 series a number of times. As a car owner with little mechanical knowledge I am always nervous when something goes wrong as I don't want to be ripped off. Never had that problem here, the car is always carefully inspected and only essential work is done. I am informed of anything that may be on 'its way out' and when I should come back to get it checked. Fair prices and quick turn around! Keep up the good work! Have been using this garage for over 10 years and have always been pleased with the service. Prices reasonable, staff friendly and informative, work always done quickly. Excellent and professional service. Very friendly staff. I recommend to anyone who needs their car repaired or maintained. I saw the reviews on google, wanting to find a proper garage, with nice polite and reliable people, so I decided to start with something small, to test the quality of tge services, and go from there. And I brought my 2014 Lexus is300H for wheel tracking and balacing, and yeah I was more than pleased with the man in charge of the garage, being polite, giving advice and being helpful. After my first experience I decided to go for the full service because it was due anyway, and I wasn't dissapointed at all. The prices are affordable, the level of politeness is there anytime of the day, the level of giving advices and info, everything that a car owner needs, its there. Bottom line is, I recommend this garage any time, you won't go wrong with them, and you're level of security after their services it's present. I hope this honest review will help other people as well, trying to find a very good and reliable garage for their cars. 5 stars for them! That's what I call service! The guys went out to recover my broken down car and had it back on the road within half a day. Service with a smile. Amazing. Will be using for all work in the future. I highly recommend this garage. You couldn’t find a friendlier, more reliable, service. It’s hard to find a garage you can trust these days but I found these guys online and am very glad that I did - their reviews say it all. Normally I don't trust in any mechanic, but I gave a try for their Google rating, and I'm really happy with my decision. These gentlemens are spot on friendly professional and customer focused, my car was done in a day with MOT and all the repairs, and at the end they explain to me everything what they've done and what I can expect in the near future. Not to mention it was all cost effective. All in all to describe how good my experience was, my first intention was to drive my pride and joy at 150mph straight to the Thames, to give them back for another service. Definitely coming back here. If you looking for a really good mechanic in this area - you found it! Honest, quick, flexible and a decent price. Will use again. Had my car air con regassed from Walthamstow Central Garage today. After having had poor service from another major named garage, I decided by giving these guys a try after reading all the positive reviews I had seen on Google. Brilliant experience. My car was blowing hot air, and i was absolutely melting in this hot weather. I called up around 2pm and was instantly booked in for 3pm for air con regassed service. I waited across the road in Costa enjoying a iced latte and one hour later my car was done. What a relief my air con is now blowing cool air. Very happy. Knowledgeable, friendly and experienced mechanics. Thoroughly and highly recommended. we dropped the car there and went shopping.We were told to come back in 40 to 60 min .In 45 min ,they called us to pick up the car.Friendly people, quick MOT.I had a tyre at limit but was no problem to pass the test like advisories..Thank you and will come back next time. Very friendly and professional team. 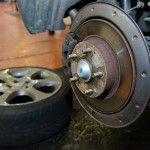 I called them and my wife droped off and picked up our zafira to change break discs and pads and a caliper. Reasonably priced for the workmenship. Was done when they said it would. Will go again to do my exhausts soon. We could not recommend WCG highly enough. We have used them to service our rather old VW for the past two years, and they have always been friendly, extremely fast, and have carried out the services with professionalism and care. Recently we had our Cam Belt changed, and due to a manufacturer's fault, it went, causing extensive damage to the engine. When we phoned them up to explain, the team was extremely helpful - going so far as driving up to collect the car in Birmingham (where we were travelling when we broke down), arriving at 9:00 on a Saturday with a courtesy car and taking our car back to London at no charge. They investigated the fault, took it up with the manufacturer, and carried out a total repair of our car within a week, at no charge! The best part about this experience has been how polite and pro-active the team has been in getting the problem resolved and our car back to us with no hassle! If you want a garage you can trust, we would highly recommend using Walthamstow Central Garage.